Control Devices (Aust) presents the Penny+Giles analogue and digital T-Bar controllers designed to provide excellent performance and reliability for video switchers, mixers and effects generators. 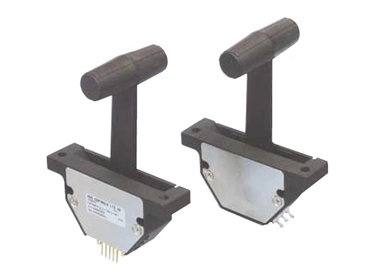 While analogue T-Bar video controllers incorporate a conductive plastic track with an analogue output to offer excellent performance, digital T-Bar controllers incorporate a high quality optical incremental encoder, generating two channels of quadrature output at 256 cycles per channel. This data can be decoded to provide directional indication and incremental position.